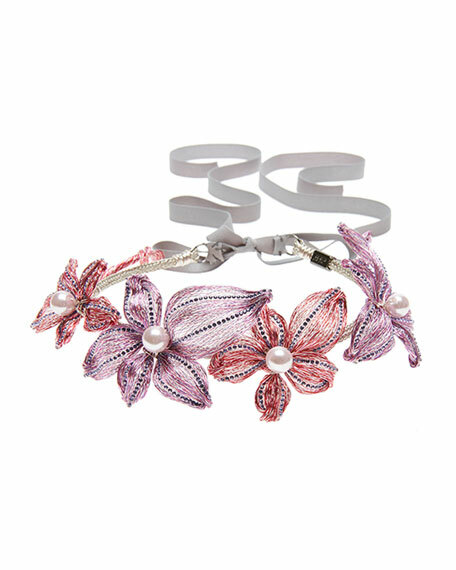 Large handmade flowers sparkle with Swarovski® crystals that trail across each petal of this floral headband. Mounted on a flexible steel headband, the piece is meticulously hand-wrapped and studded in Colette Malouf's Soho studios by in-house artisans. 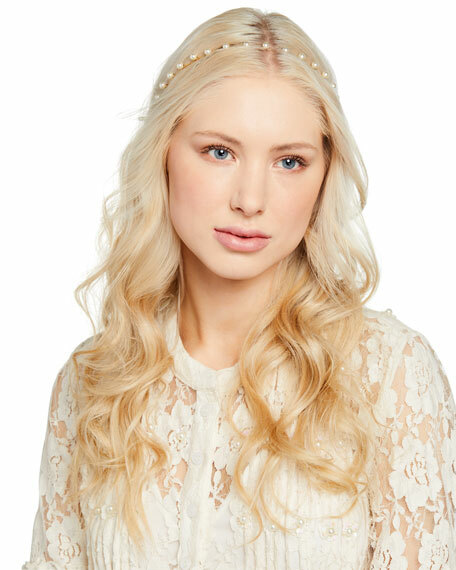 Colette Malouf Mesh Diamond Botanical Headband. Crystal-studded soft mesh, mounted on flexible steel. 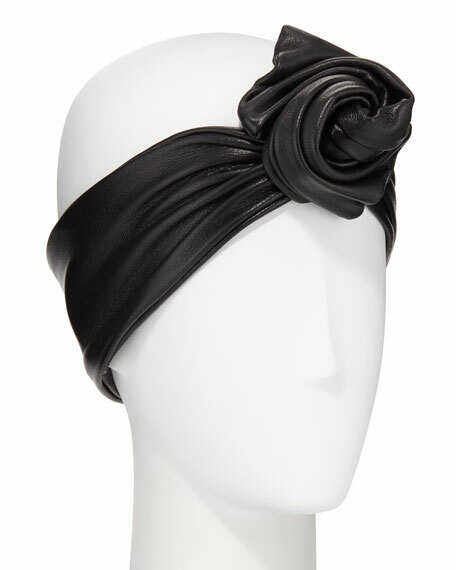 Jennifer Behr "Carlotta" circlet headband. Gold tone plated brass hardware. Swarovski crystal flower details. Elastic cord at back. Made in USA.